The Easter Sunday mass from St. Catherine Church in Spring Lake, N.J.
Chicago Bears quarterback Jay Cutler has missed the team’s last two games with an injured thumb, but even as he recovers from the ailment, it’s unclear whether he will be the starter when he comes back. 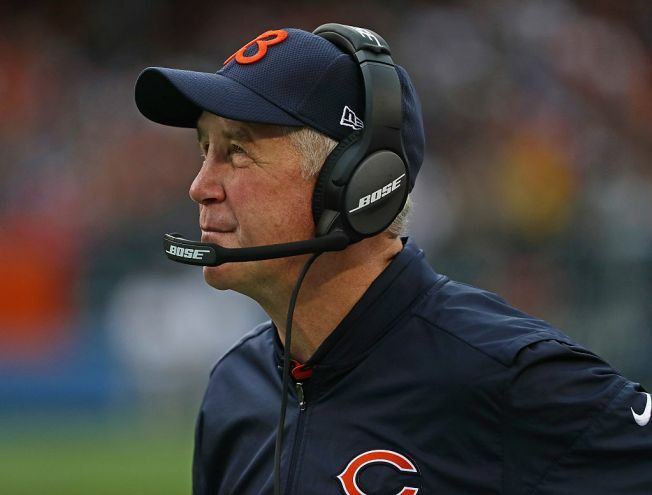 That’s because head coach John Fox has made it a habit of being vague with his answers on the subject, and he continued that trend on Monday following the Bears’ victory over the Detroit Lions. In his press conference at Halas Hall, Fox tip-toed around the idea of Cutler getting his job back when he returns, and didn’t rule out keeping Brian Hoyer in place as the starter under center. Fox’s comments come on the heels of his statements last week that there were no guarantees that Cutler would be the starter when he returns from a sprained thumb that he suffered in a Week 2 loss to the Philadelphia Eagles. Cutler has been a limited participant in a few workouts in the intervening weeks, but he is still dealing with the injury and his timetable to come back is unclear. Meanwhile, Hoyer has done a serviceable job in Cutler’s place, and had a strong game on Sunday. He racked up 302 passing yards and a pair of touchdowns against the Lions, posting a quarterback rating of 120.1 for the Bears. He also did not turn the ball over, leading some to question whether he’s got the skills necessary to usurp the starter’s job from Cutler.